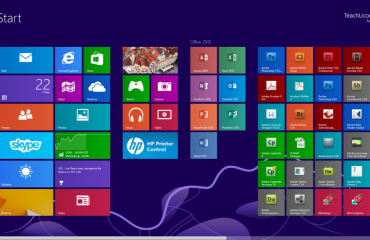 Try the Microsoft OneNote Course for Free! The Research Pane in OneNote helps you quickly look up information. This pane helps you research a specific word or term. 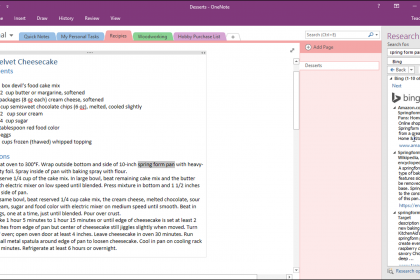 The Research Pane in OneNote can help you check spelling, find an alternate word, or just generally research a word. To use the Research Pane in OneNote, select the word or phrase to research. Then click the “Research” button in the “Spelling” group of the “Review” tab in the Ribbon. 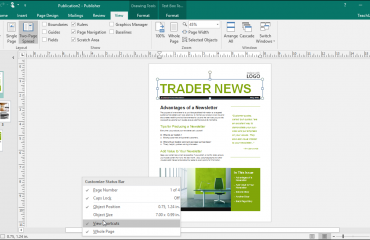 Doing that launches the “Research” pane at the right-side of OneNote. The term you selected appears in the “Search for” text box. However, you can also enter a new word or phrase, if you wish. Then use the drop-down below the text box to select a research service. You can select “Thesaurus: English” and “Translation” choices, among others. After making a selection, the results appear in the pane below the drop-down. 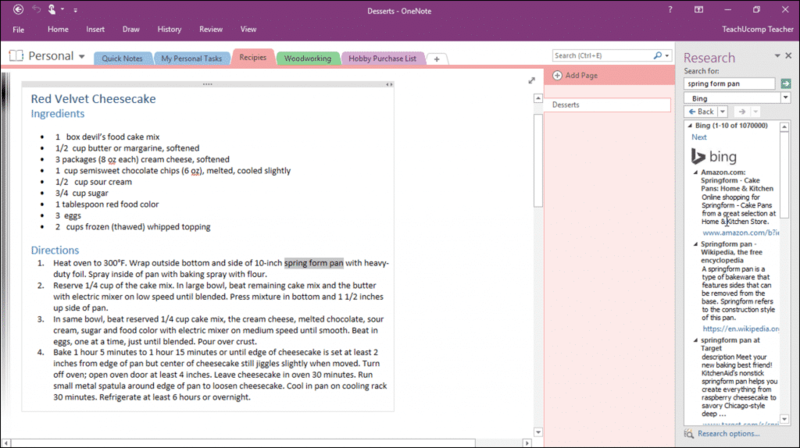 The Research Pane in OneNote- Instructions: A picture of the Research Pane in OneNote. To navigate to the different research pages you have viewed, use the “Back” and “Forward” buttons at the top of the pane. Alternatively, click the drop-down arrows to the right of those navigation buttons. Then click to select one of the pages from the history of your research to jump to it. At the bottom of the Research Pane, click the “Research options…” link to open the “Research Options” dialog box. Here, you can add or remove any of the available research services. To do this, check or un-check the box next to a service. To add a new research service, click the “Add Services” button. Then enter the service’s website URL address into the dialog box and click the “Add” button. After making changes, then click or tap the “OK” button. To close the Research Pane in OneNote, click the “X” button in the upper-right corner of the pane. To use the Research Pane in OneNote, select the word or phrase to research. Then click the “Research” button in the “Spelling” group of the “Review” tab in the Ribbon. The “Research” pane then appears at the right-side of OneNote. The selected term appears in the “Search for” text box. However, you can also enter a new word or phrase, if you wish. To select a research service, use the drop-down below the “Search for” text box. After making a selection, the results appear in the pane below the drop-down. To view a page from your research history, use the “Back” and “Forward” buttons at the top of the pane. 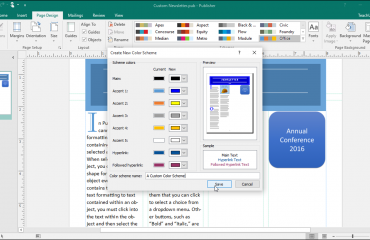 Alternatively, click the drop-down arrows to the right of those navigation buttons. Then click to select one of the pages from your research history to jump to it. To open the “Research Options” dialog box, click the “Research options…” link at the bottom of the Research Pane. If you want to add or remove any available research services, check or un-check the box next to that service. To add a new research service, click the “Add Services” button. Then enter the service’s website URL address into the dialog box and click the “Add” button. After making changes, then click or tap the “OK” button. To close the Research Pane in OneNote, click the “X” button in the upper-right corner of the pane. Sale! $15 Courses! 0 Days 18 Hours 25 Minutes 0 Seconds $50 $15 Every course on sale!